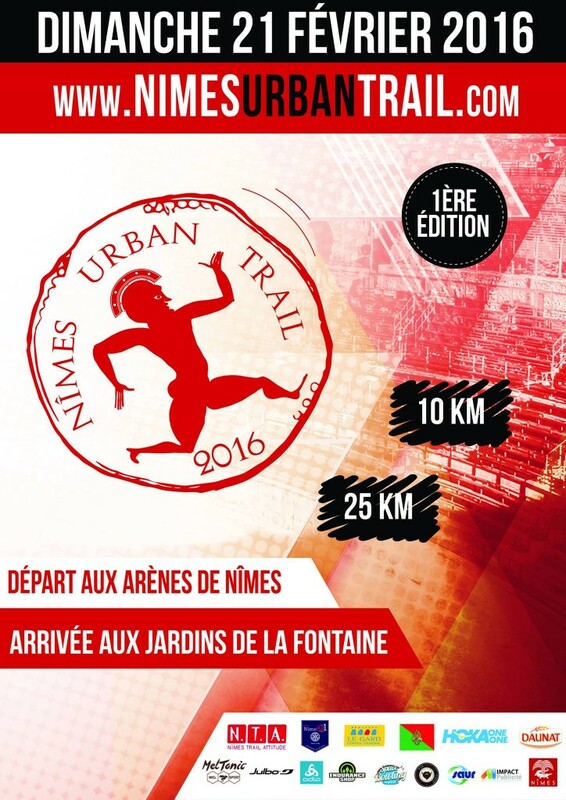 Here you can find the calendar of the events in Nîmes by year, from the most recent to the oldest. Ready to travel back to the Roman time? 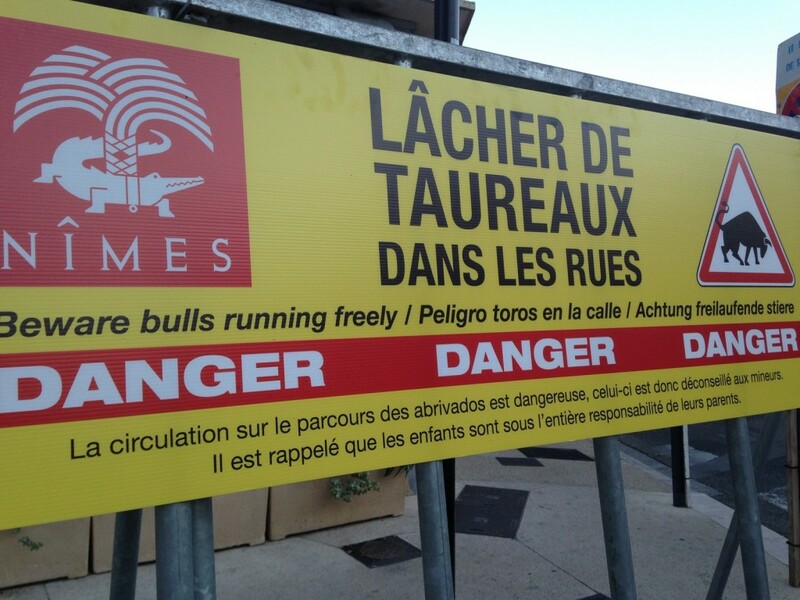 Here you are with this massive event yearly held in the City of Nîmes. 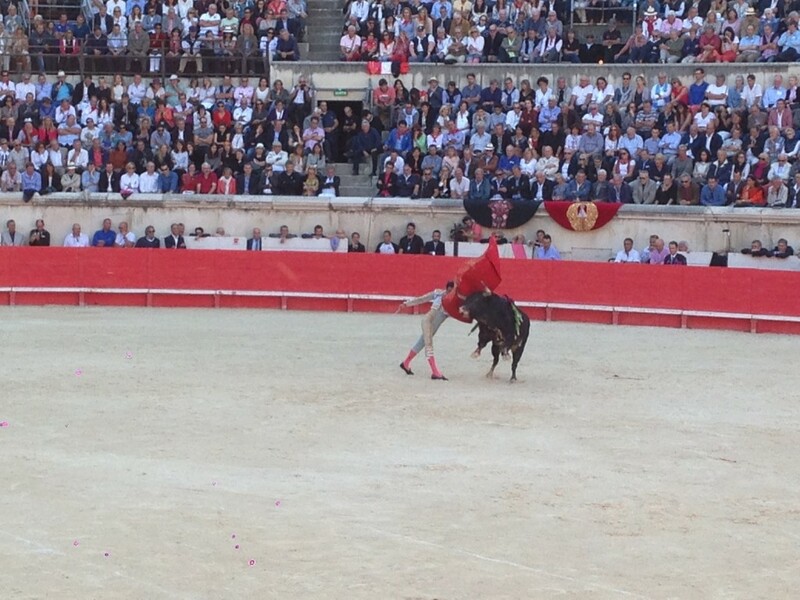 You will see in live and within the arena of Nîmes, Gladiators fights, Roman chariot racing, Roman legionnaires parading downtown and much more. A very unique event not to miss for anybody who love Roman civilization or just want to see something stunning. 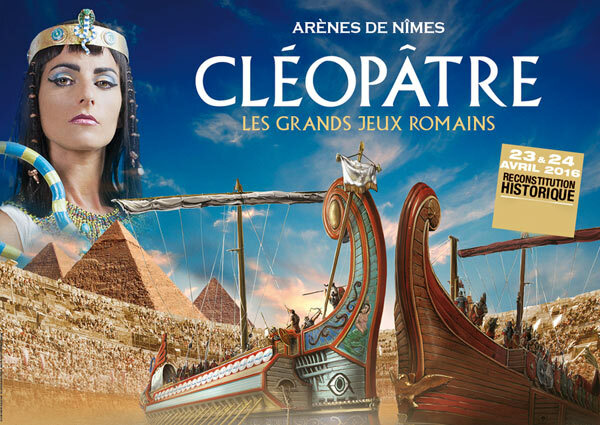 The theme of this 7th edition 2016 will be about Cleopatra. If there is ONE event not to miss… and I really mean it. It is this one! This is the biggest and craziest yearly Feria that everybody is waiting for. The Feria de Pentecôte (AKA Feria de Nîmes) is with the Feria des vendanges the 3rd week of September (Wine Harvest Feria) the biggest Feria of the Region. What makes the Feria such a unique and outstanding festival is the multitude of events that you can see all over the city! Pégoulade (which is a carnival/procession that launch the opening of the Feria), corridas, exhibitions, bodegas (from the Spanish word “Bodega), Sevillanas dances, Spanish food and giant paellas freshly made, Sangria, Flamenco music concerts, peñas (street bands) and plenty of bull related events such as the ancierros and abrivados where we literally let the bulls playing with people in the streets! 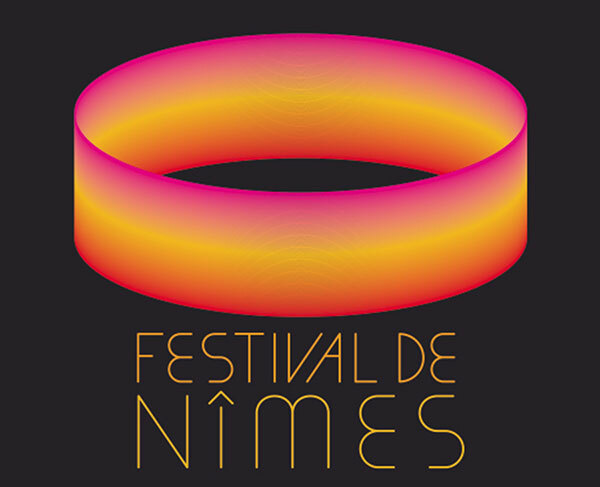 The Nîmes Festival take place every July. The Arena of Nîmes (Arènes de Nîmes) is hosting a long list of various music concert: Pop music, Classic, Rock, Techno and so on! Famous groups and artists will be there in the Arena to provide you the best of their music thanks to the the outstanding 2000 years old acoustic of the monument! 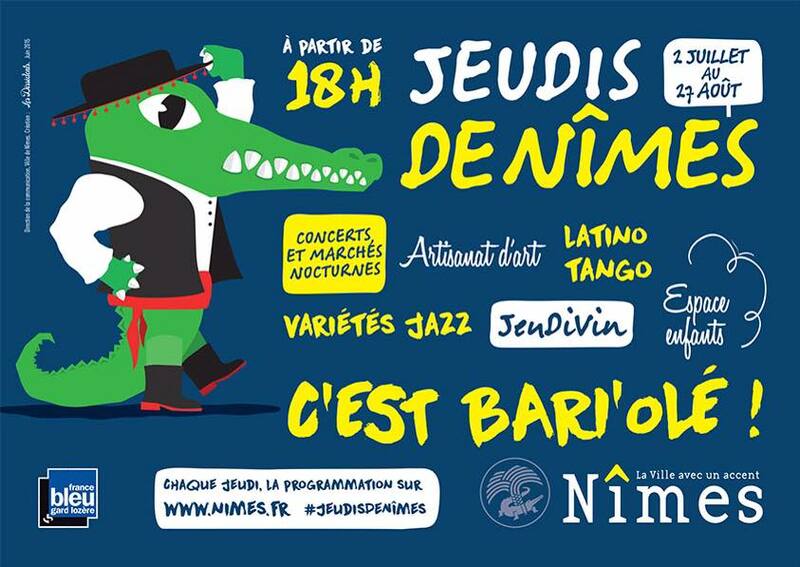 Every Thursday evening during summer, in July and August, the city of Nîmes will delight you with music live (Flamenco, pop, jazz etc…), sellers of local products, antiques, street food and much more! These events will take place in the historic center of the city: Place de l’Hôtel de Ville, l’Esplanade, Petit Temple, Place Bellecroix, Place de la Maison Carrée, Place des Esclafidous, Cour du Musée du Vieux-Nîmes, Place de l’Horloge…. However the highlight will be in front of the Maison Carree, Place de la Maison Carrée. Also notice that the Maison Carree will be open until 9pm during the event! Yes the weather is nicely warm, the sun goes down late, very late and we just want to enjoy our Mediterranean summer nights walking around in this very beautiful City of Nîmes. 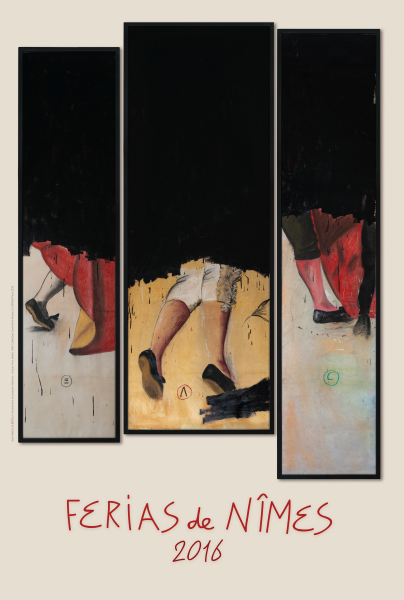 This is definitely one of our favorite events! 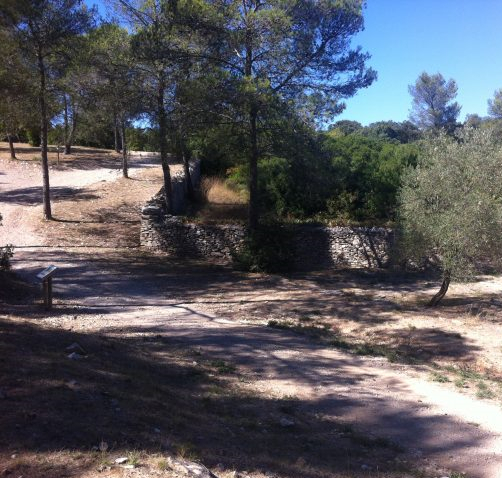 Here is one more event you must go… and for those who couldn’t go to the Feria de Pentecôte, this is a great alternative too. 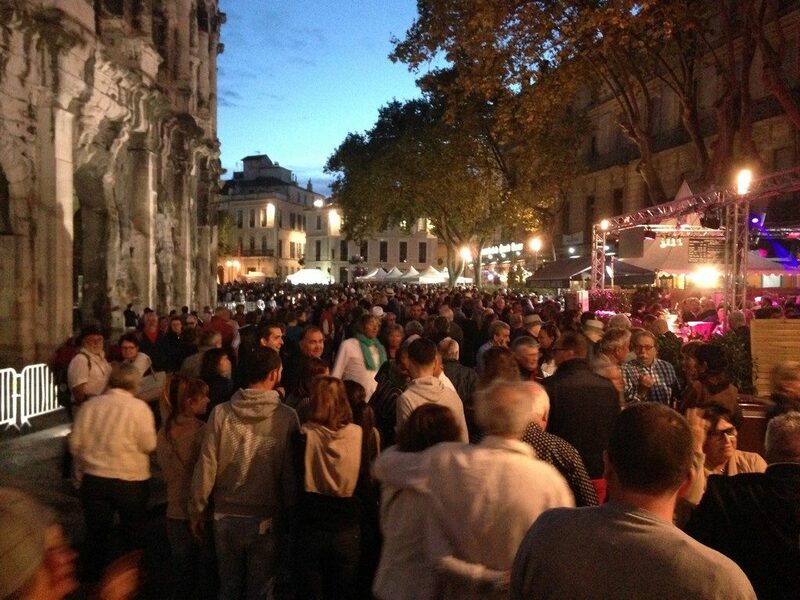 Held the 3rd week of September in Nîmes The Feria des Vendanges is slightly smaller than the Feria de Pentecôte, but it still an event that everybody is waiting for. Some people will prefer this Feria to the Feria de Pentecôte because it is less crowded and more local since there is less tourists in Nîmes in September. What makes the Feria des Vendanges such a unique and outstanding festival is the same the multitude of events as in the feria de Pentecôte: Pégoulade (which is a carnival/procession that launch the opening of the Feria), corridas, exhibitions, bodegas (from the Spanish word “Bodega), Sevillanas dances, Spanish food and giant paellas freshly made, Sangria, Flamenco music concerts, peñas (street bands) and plenty of bull related events such as the ancierros and abrivados where we literally let the bulls playing with people in the streets! 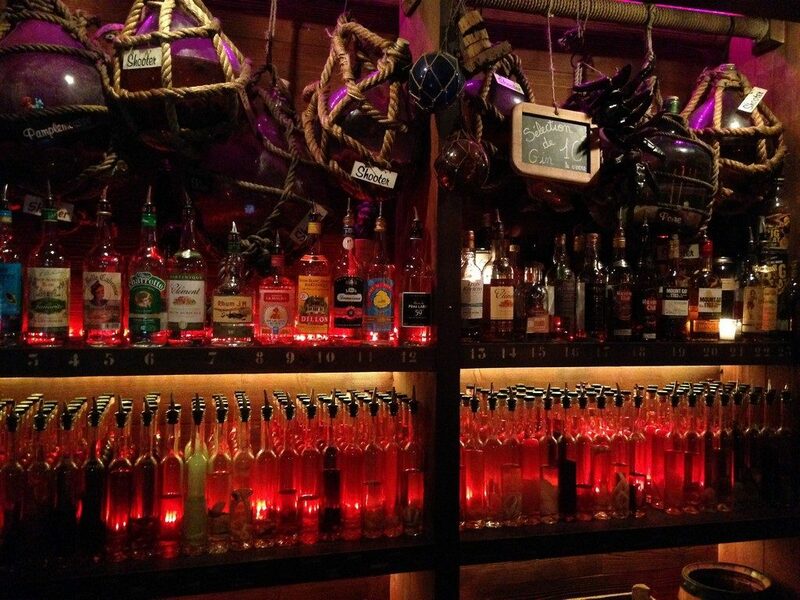 All these ingredients in a more local atmosphere… not to miss!! !